Looking for something different to do this August Bank Holiday? 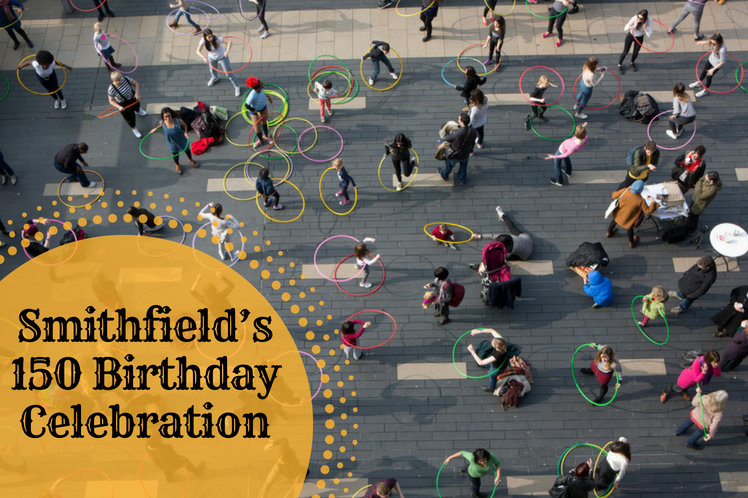 Then head for Smithfield in the City of London, and help celebrate its 150th Birthday in spectacular style. 2018 marks the 150th anniversary of the building of the stunning Victorian market buildings, which act as a center for the meat market trade throughout London. Very early every morning, countless vehicles arrive containing fresh meat, which is quickly sold to restaurants and wholesalers. By the time the rest of London has woken up, Smithfield’s trading day has almost ended. This is an area with a long history of market activity. There has been a meat market on this site for over 800 years. But that’s not all – it also has a much more lively and sometimes frightening past. This area was once the scene of numerous executions where people were hung, drawn and quartered or even burned alive. You can find out more about the area’s history by joining one of the many walks undertaken by the Museum of London. These walking tours have to be pre-booked and offer a fascinating way to learn about the stories, the executions and the lively St Bartholomew Fair which was once held nearby as well as links with Henry VIII, painter Hogarth and the legendary consulting detective, Sherlock Holmes. Anyone wanting to learn more about the Smithfield Meat Market can book a tour with City Guides. But be warned, you will need to get up early! The tours start at 7 am. The visitors who have come to enjoy this celebration can look for the good authentic food like for Malaysian cuisine they can search for Kensington restaurants London which will serve them good food and stay. There will also be lots of opportunities to discover more about the area’s history during the August Bank Holiday Birthday party, along with lots of fun and games. The area is set to come alive with six festival zones and two stages offering everything from pop up food markets and dancing, to children’s activities and roller disco. Watch a carnival parade and giant puppets, funky brass bands, majorettes and hula hoopers. There is the Bartholomew’s Carnival of Delights to explore, together with a comedy club and Horrible Histories. Try some Henna Art in the Henna House. All kinds of designs will be on offer, including tribal art and intricate floral designs. Have some fun on the fairground rides, or watch the Kinetica Bloco procession. Find out about the centenary of women’s suffrage in the area, by watching archive film in the Kino Van, a traveling cinema on wheels. This is set to be an incredible birthday party where you can really get close to the local community, and the people who live, work and enjoy the area. While enjoying this birthday celebration, if you are searching for good accommodation then you can go to hotels like Park City Grand Plaza hotel and enjoy the celebration to the fullest.